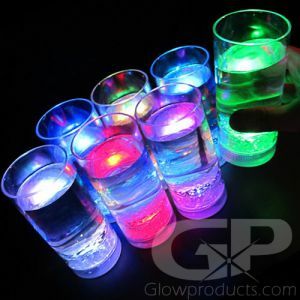 - Fun Liquid Chaser Glowing Straws! 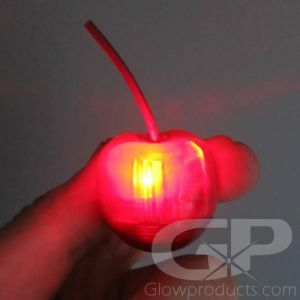 - Mini Glow Stick moves up and down with the liquid! - 8 Inches in Length! 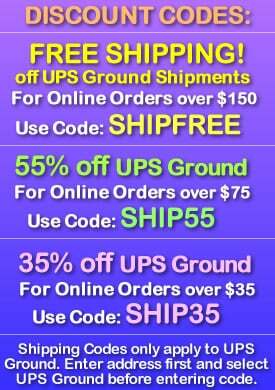 - Great for Glow Parties, Night Clubs and Birthdays! 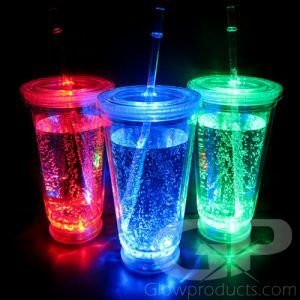 Liquid Chaser Glow in the Dark Straws have miniature glow sticks inside a straw that zip up and down the length of the straw as you drink from it! No assembly required - the Light Up Straws are ready to be popped into a drink as soon as you take them out of their packaging. 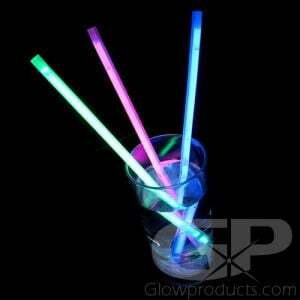 The glowing straws are great at birthday parties, backyard BBQs, fun drink promotions and special events! 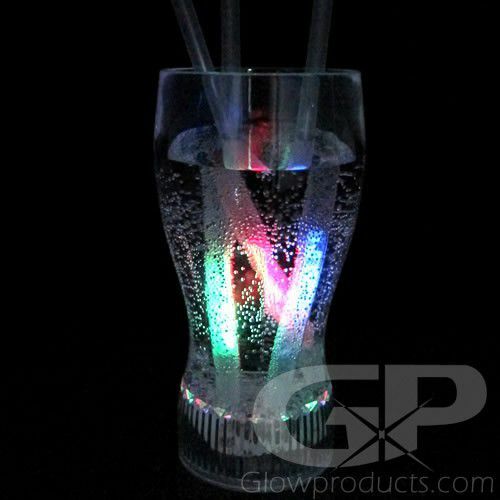 The liquid chaser glow straws are made of heavy plastic and are crimped at each end to keep the mini glow stick inside the straw. 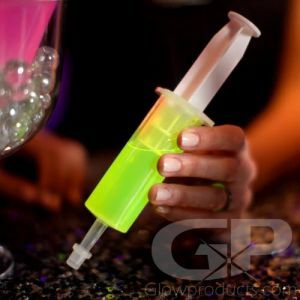 And as you drink the mini glow stick inside slides up and down with the liquid! Instructions: Bend the glow stick within the straw just enough to break the internal glass ampoules. 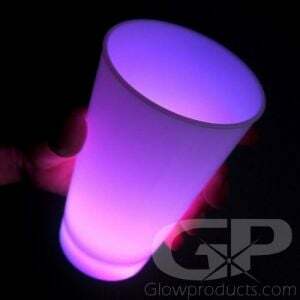 Shake well to get the glow stick glowing and start your glow party up!